Great food, awesome specials, cozy atmosphere, and attentive staff; if this is what you are looking for in a dining experience then you just have to go to Kirby’s! Kirby’s is THE place to go if you’re craving a burger! 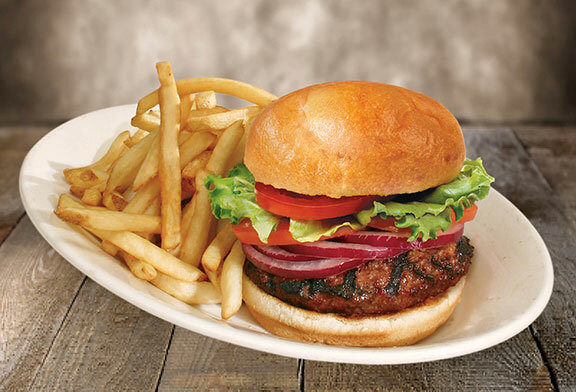 Try the Taphouse Burger, the Bacon Cheddar Burger, the Backyard Burger or the Pepperjack Burger. They have been a Central New York favorite for decades. They have managed to grow and change with the times all while serving up consistently delicious meals and staying true to their comfort food roots! Kirby’s has three locations in Central New York. If you are on the east side stop by Kirby’s in Fayetteville located at 408 East Genesee Street in Fayetteville. 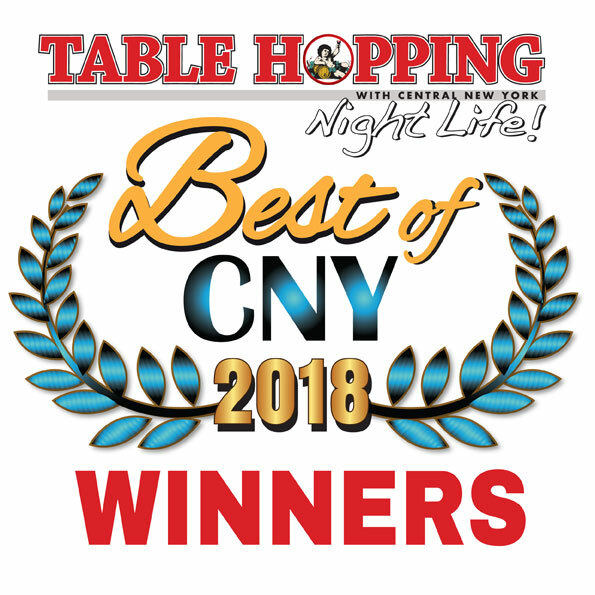 You can find their west side restaurant, Kirby’s Grill, located in Westvale at 2212 West Genesee Street in Syracuse. And if you are in the Utica / Yorkville area be sure to check out Kirby’s Grill and Taphouse located at 4982 Commercial Drive in Yorkville. All three locations offer their Signature Steak and Rib Combos, Fresh Seafood, Burgers, and Hearty Salads. At Kirby’s there is absolutely something that is sure to please any pallet! All locations are open daily for lunch and dinner. Kirby’s opened in Central New York in the mid 1970’s and they have stood the test of time by using high quality ingredients, keeping prices affordable, and making great service a priority. Because of this, Kirby’s is a great place to eat and a great place to work. Few businesses that have been open for over forty years can boast the fact that they have high employee retention and that three of their managers have been with the restaurant since day one! I spoke with Scott, who is a manager at Kirby’s, and he proudly declared that he has been with Kirby’s for 42 years. Any restaurant that can stay in business for over four decades and retain loyal staff is certainly doing something right! If you’re looking for slow roasted on site prime rib, Kirby’s is the place to go! 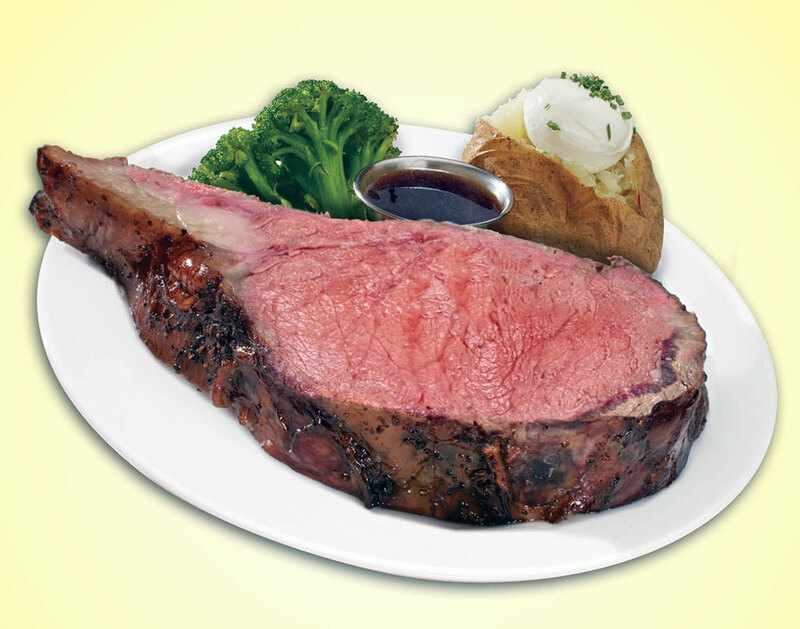 Over 40 years ago Kirby’s started making some of the best prime rib in town. This tradition continues on today so if you are looking for slow roasted on site daily, super tender prime rib then you’ve just got to head to Kirby’s. Kirby’s is also home of award winning ribs that have been voted the best in town! Their baby back pork ribs are slow cooked and char grilled until they are loaded with flavor and are fall off the bone tender! You can order prime rib and baby back ribs at all three locations. When you are craving a burger then Kirby’s has something for you. You can’t go wrong with their in house hand formed burgers that are cooked to order. Try the Hand formed burgers in house cooked to order. Try the Taphouse Burger, the Bacon Cheddar Burger, the Backyard Burger, or the Pepperjack Burger! If you are in the mood for some mouthwatering flatbread pizza then be sure to head to the Westvale location and try the Margherita Flatbread, the Sausage and Mushroom Flatbread, or the Pepperoni and Mozzarella Flatbread. Kirby’s also features menu specials that change frequently. Be sure to save room for a homemade dessert and you also have to try one of their homemade soups! Kirby’s is a great place to grab lunch, you won’t want to miss their “pick 2” specials and you’ve just got to try the homemade almond chicken salad. Kirby’s is also the home of fantastic specials! How does a free steak on your birthday sound? At Kirby’s you can find their birthday special, featuring a free birthday steak, a scrumptious center cut sirloin or if you aren’t a steak lover you can apply up to $10.99 towards any Dinner menu selection or $9.29 towards any Lunch menu selection! Just sign up on their website and celebrate your birthday with Kirby’s! Come in on Mondays and Tuesdays for their “kids eat free” promotion! Kids under 12 can enjoy a free kid’s meal with a beverage for each adult entree purchased. Talk about family friendly! If you are looking for the perfect gift Kirby’s has you covered with their Food and a Flick package for just $39.95 you can get a $25 Kirby’s gift card and two movie passes. This is the perfect gift for teachers, graduates, couples, and for dad on Father’s day! Kyle and I went to Kirby’s in Westvale on a busy Saturday night. We were promptly seated in a cozy booth and our knowledgeable server filled us in on all the great specials. 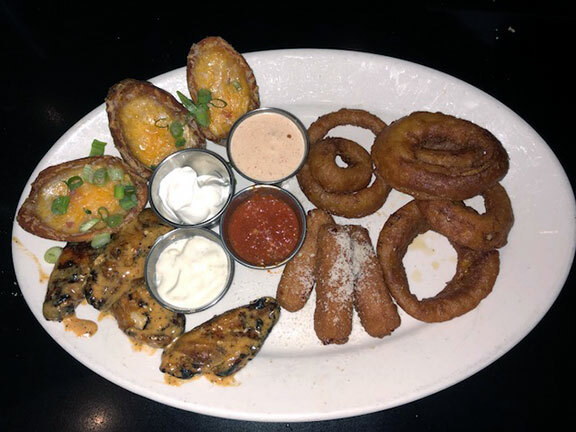 We started our meal with The Appetizer Sampler, a huge portion of mozzarella cheese sticks, crunchy potato skins, onion rings and Taphouse wings, with dipping sauces. The taphouse wings were absolutely spectacular! We also tried the Taphouse Firecracker Shrimp – Crispy shrimp tossed in a creamy spicy sauce. These shrimp were incredible. If you go to Kirby’s be sure to try the taphouse sauce, you can thank me later! For our entrees I ordered the Steak & Lobster, a cold water lobster tail with a fire grilled certified Angus sirloin. Every bit of this dish was scrumptious! Kyle just loves prime rib so he had the Rib Lover’s Prime Rib; a huge portion of three quarters of a pound of slow roasted prime rib. It was super tender and flavored to perfection. We ended our meal with a piece of homemade key lime pie. It was sweet and tangy and the perfect way to end a great meal! 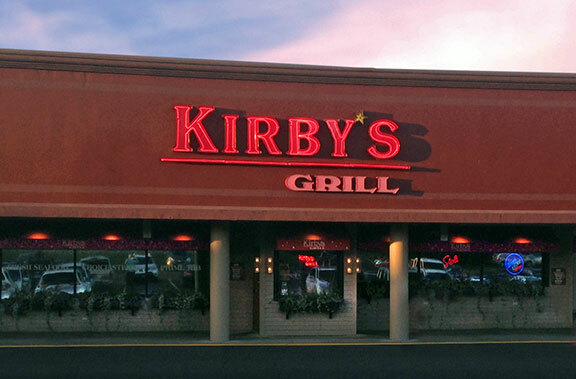 Kirby’s is a perfect place to enjoy a wonderful dining experience. They offer call ahead seating, so call 30 minutes in advance and they will put your name on a list so you can skip the wait! They also offer Growlers filled with craft beer for you to take home; buy Kirby’s growler or bring in your own for a fill! Be sure to check out their social media to stay up to date on all the latest promotion. Kirby’s has grown to 3 locations in Central New York..Fayetteville, Syracuse and Yorkville. Their website is http://www.kirbys.com and like them on Facebook!